Looking for some stocking stuffers? Here are five beauties I particularly recommend, with more to follow in the weeks to come. Venice: Pure City, by Peter Ackroyd; Nan Talese/Doubleday, 403 pages, $37.50. 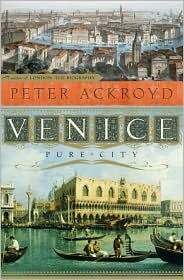 Writing about the life of a city as if it were a living, breathing organism is a specialty of the estimable English writer Peter Ackroyd, his “London: The Biography” of a few years back being an exemplar of the form; with “Venice: Pure City,” he offers a worthy companion. As a place seemingly set apart from the rest of Italy--Venice is a cluster of islands in a lagoon, really--the city’s insularity has given it a degree of independence. “The Italians do not really think of Venice at all,” Ackroyd writes, “it belongs to some other realm of fancy or of artifice.” His blend of detail and atmosphere is always in perfect balance, his narrative skill apparent in every chapter. 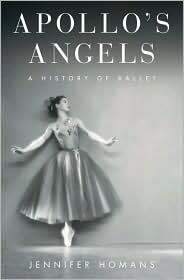 Apollo's Angels: A History of Ballet, by Jennifer Homans; Random House, 643 pages, $35. Ballet is a unique form of performance, Jennifer Homans notes in this cultural history of the art form, in that it has no written texts or standardized system of notation. With traditions that go back more than four centuries, it is in essence a storyteller's art passed on from teacher to student, with styles that are distinctive to various national traditions. A distinguished scholar-in-residence at New York University and dance critic of the New Republic—and a professionally trained dancer in her own right—Homans is ideally suited to write this pioneering, comprehensive work. She quotes Theophile Gautier on the magic of the form: "The very essence of ballet is poetic, deriving from dreams rather than from reality. About the only reason for its existence is to enable us to remain in the world of fantasy and escape from the people we rub shoulders with in the street." 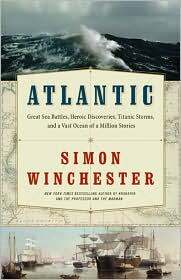 Atlantic: Great Sea Battles, Heroic Discoveries, Titanic Storms, and a Vast Ocean of a Million Stories, by Simon Winchester; Harper, 495 pages, $27.99. I don't know how it is that Simon Winchester manages to write relevant book after relevant book, each one a particular take on a fascinating subject, each marvelously researched and engaging written, but here's the latest, a fresh examination of a massive body of water to be sure, but as the subtitle suggests without a trace of exaggeration, a “vast ocean of a million stories.” He tells a good number of them in “Atlantic,” with grace, originality, and consummate style. As always, a terrific read. 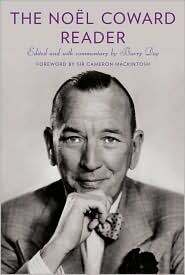 The Noel Coward Reader, edited with commentary by Barry Day; Alfred A. Knopf, 596 pages, $39.95. If any writer of consequence deserves a comprehensive “reader” of his or her works, it is the extraordinarily versatile English man-of-letters Noel Coward (1899-1973), playwright, lyricist, versifier, essayist, short story writer, scriptwriter and author of wonderfully witty and ever quotable letters. Barry Day, a British author who has built a career out of editing the Coward corpus, has pulled together a marvelous selection, organized it by decade, and included delightful examples in every section. All in all a copious portion of tasty goodies, and beautifully produced to boot. 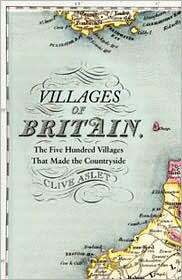 Villages of Britain: The Five Hundred Villages That Made the Countryside, by Clive Aslet; Bloomsbury, 657 pages, $65. This inviting series of vignettes illuminates the history and culture of five hundred villages, each contributing in many palpable ways to the continuing saga that is England. “The story of the village is that of the countryside itself,” Clive Aslet writes. “Each puts a single aspect of rural Britain under the spotlight: a country poet, a way of building, an agricultural innovation, a horrible death, a rare survival, a monument to an exceptional person or event.” It's a fascinating way to look at the development of a national identity, and for the reader, easy to pick up and dip into at any point, with an agreeable pace that sustains itself throughout. Venice: Pure City, by Peter Ackroyd; Nan Talese/Doubleday, 403 pages, $37.50. Writing about the life of a city as if it were a living, breathing organism is a specialty of the estimable English writer Peter Ackroyd, his "London: The Biography" of a few years back being an exemplar of the form; with "Venice: Pure City," he offers a worthy companion. As a place seemingly set apart from the rest of Italy--Venice is a cluster of islands in a lagoon, really--the city's insularity has given it a degree of independence. "The Italians do not really think of Venice at all," Ackroyd writes, "it belongs to some other realm of fancy or of artifice." His blend of detail and atmosphere is always in perfect balance, his narrative skill apparent in every chapter.